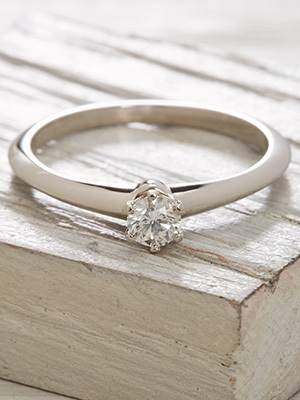 Classic beauty never goes out of style as evidenced by this traditional Tiffany & Co. diamond engagement ring. Tiffany's timeless design is a testament to the enduring appeal of diamond solitaires. A single diamond understatedly wows from the center of this ring's ultra-polished platinum band. 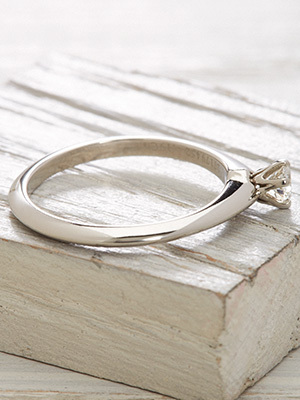 Simplicity and elegance join together to give this engagement ring incomparable charm. Details: Vintage Style. Platinum. Round brilliant cut diamond; 0.19 carats. T&Co trademark. Circa 2000 or later. 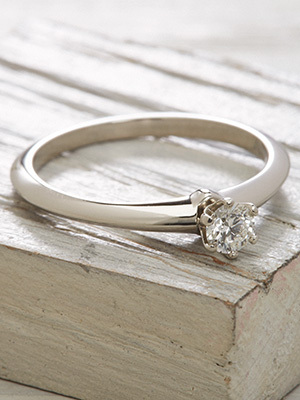 Special characteristics This is a classic Tiffany engagement ring in platinum. 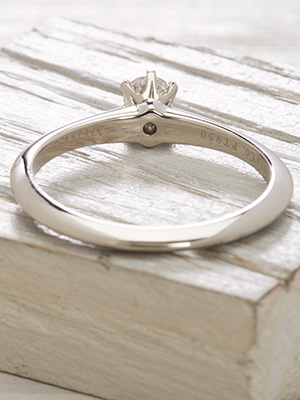 The 0.19 carat round brilliant cut diamond is set in a 6 prong mounting. The original Tiffany & Co. blue pouch comes with your purchase. Diamond comments The star facet is inscribed "T&Co L08200412"